Start with the server you are moving the account to (you’ll essentially be pulling the account from the old server to the new so you want to start with the destination server). Login to WHM, search Transfer Tool and click it. 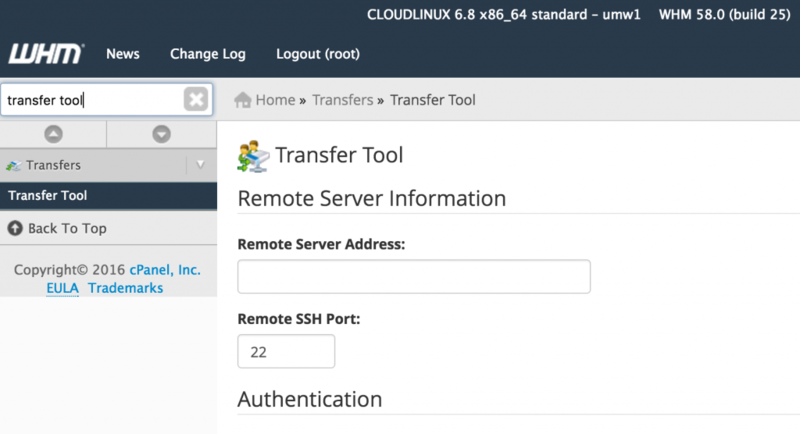 The Remote Server Address is the hostname of the server you’re transferring an account from. Authentication information should be with the root credentials using the SSH key built into the server which can be selected from the drop-down. 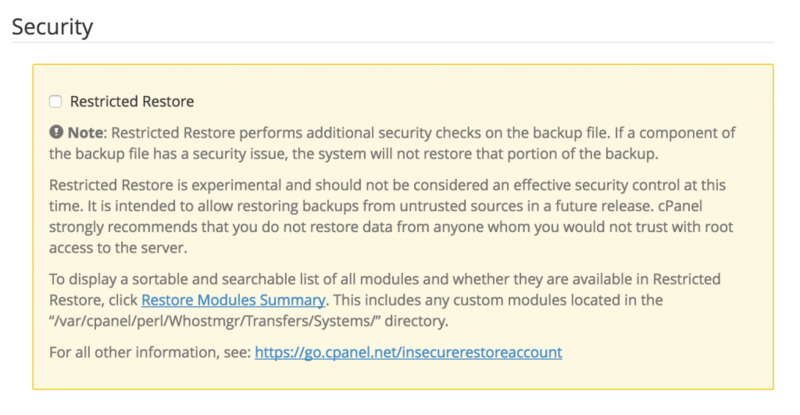 Note: cPanel has an option for a “Restricted Restore”, we do not recommend using this as it can often exclude necessary files and data in the account in the interest of security. Click Fetch Account List and WHM will generate a list of packages and accounts on the host server for you to transfer over. Searching is the easiest way to move an individual account (you can search by username or domain name). We recommend checking the “Express Transfer” option so that DNS updates faster and leave the rest default. Check the account(s) you want to transfer and then click Copy to begin the migration process. The final step is making sure that WHMCS (the billing automation software used for provisioning and managing accounts) reflects the new server. Search the domain in WHMCS and check the Product tab to ensure the Server reflected there is the correct one. If not choose it from the drop-down and click Save Changes.